Successful career change strategies have changed over the last twenty years. Anyone who is 40+ has seen business and employment practices revolutionized, with advantages and disadvantages innate in every major change. 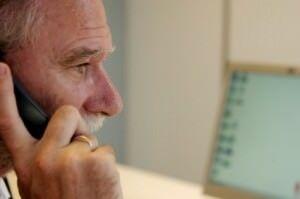 People in their 50s and 60s have also witnessed the entire evolution of the information age and the integration of digital technology into every aspect of our lives. Some of the changes in the area of employment have been massive. Old jobs have disappeared, new ones have appeared and many have morphed into something quite different, but this has been going on throughout history. A century ago, as the first cars rolled off the production line, horses required for transport were far less in demand and so blacksmiths were out of work. Then new jobs appeared because mechanics and car salesmen were suddenly in demand. Now independent mechanics are under threat because of the high level of technology in new cars. When computers landed on office desks many clerical tasks could be performed by one person and a software package. However someone had to create that software package, someone had to sell the computers, and others had to install the systems and keep the computers working, so as one form of employment was reduced or disappeared new ones came along. Good schools and teachers are preparing children for jobs which are still not part of our vocabulary or thoughts, but they will be by the time those children are working. Who had heard of a social media manager or a data miner 15 years ago? What jobs will be commonplace in 10 years time but don’t exist yet? Technology has dramatically impacted on the way that people can find work. If you are serious about changing your career, you need to understand the changes and be fully aware of the career change strategies that are successful in the contemporary workplace. What’s Different About Career Change Strategies? Job applications have changed in many ways. We live in a world where successful products are marketed very cleverly, and products that aren’t marketed well are not successful regardless of their excellence. Similarly dated unprofessional applications are just not adequate in a pool of well-prepared self-marketing résumés, no matter how skilled or experienced you are. Privacy rules have affected the content of résumés as well. It is hard to accept that in the 1950s…when Elvis Presley was scandalising parents and Mick Jagger was learning guitar….it was still expected that personal information such as height, weight, age and marital status would be included in your job applications. It was an era when a female employee who became pregnant could be dismissed. Imagine the potential discrimination cases which could arise if employers asked those sorts of questions or took that action today! Of course some of the requirements of the past are still relevant today. Accurate spelling and grammar and good presentation are essential and carry the same weight today as ever before, especially given the ease of creating a résumé on computer rather than by hand. But in many other ways applying for a job has changed as dramatically as the type and nature of jobs themselves. Written references are now rare. Once they were essential when applying for a job. Your good character, work ethic and perhaps employment history were detailed in a written reference and made available to your prospective employer. But that was before privacy laws and legal action loomed large in our lives. People are reluctant to write a reference in case the person they recommend lets the company down in some way. The days of those “I have known Joe Smith for several years and he’s a wonderful person” references are all but gone. A new breed of employee has also emerged over the last ten years – the virtual workforce. Now anyone with the right skills and experience, coupled with a computer and internet skills, can find virtual employment online and work in the comfort of their home. This requires some business skills as well as appropriate career change strategies. As a direct result of technology the entrepreneurial ‘laptop lifestyle’ trend is enticing as people recognize that they could genuinely be their own boss creating a business, online or offline, using technology to enable the business to exist and potentially make serious money. More and more employees are joining these ranks and are finding freedom that their traditional job cannot offer. Although the basics of business remain the same, the way of marketing, finding clients and communicating with other business people is a world away from the common strategies of the past. The skills involved in starting and running a business…online marketing, finding customers, communicating with customers, raising your profile, building your business brand, recognising changing trends….now demand that you are technologically savvy (or prepared to pay someone who is) and that you are prepared to learn, evolve and adapt as necessary. Technology has made home based businesses commonplace and given freedom to many to create a successful and fulfilling business, but you do need to go into it knowing that you will need to learn new skills and keep up to date. Don’t let that put you off. It is fascinating learning the new ways of doing things. Career change can be daunting to anyone, but particularly to an older person who doesn’t understand contemporary career change strategies. The media constantly tells you that older workers face age discrimination, and we do live in an era which values appearance over substance. However you have skills and experience that are valuable and if you are willing to adapt to the changing world of work you will find great opportunities in store for you. Embrace the changes and don’t spend the rest of your working life doing work that you don’t enjoy or not doing work that would make your heart sing.